Earlier this afternoon, the Public Services Secretary, Alun Davies (Lab, Blaenau Gwent) updated the Senedd on the Valleys Action Plan. Further work on employment and development opportunities resulting from A465 dualling. Feasibility studies into new integrated transport hubs in key strategic areas which may replace existing bus and rail stations. Funding for a focused business support campaign. Use of public sector broadband capacity to create free wi-fi spots for use by everyone. Dare Valley Country Park, Caerphilly Castle, Cwmcarn Forest, Blaenavon World Heritage Centre, Cyfarthfa Park and Bryngarw Country Park have been selected as “gateway sites” as part of the Valleys Regional Park backed by £7million of funding. Shadow Communities Secretary, Mark Isherwood AM (Con, North Wales), wanted assurances that the plans were being designed with the full input of local communities. He also wondered why, which a number of north Wales councils fall within the most deprived parts of the country, they weren’t included in this programme. The Secretary said it was about the Welsh Government “acting as a catalyst” and a number of related departments and issues were “hardwired” into the process – such as working with the UK Department of Work & Pensions on employability. He also didn’t like the idea of pitting parts of Wales against each other. Leanne Wood AM (Plaid, Rhondda) was sceptical and said Alun Davies has an inclination to attack people when he doesn’t have any answers – as he did to Mark Isherwood. Leanne went on to critique a number of the key parts in the Action Plan, namely the free childcare offer. While the target of getting 7,000 people back into work was welcome, where did that stand with the quality of work and Welsh Government cuts to further education? The Secretary said the childcare offer was “one of the most ambitious and generous” of its kind in the UK and the 7,000 people target would go some way to raising the economic performance of the Valleys to match the rest of Wales. Vikki Howells AM (Lab, Cynon Valley) and Rhianon Passmore AM (Lab, Islwyn) both welcomed announcements that parks in their constituencies were included as gateways. 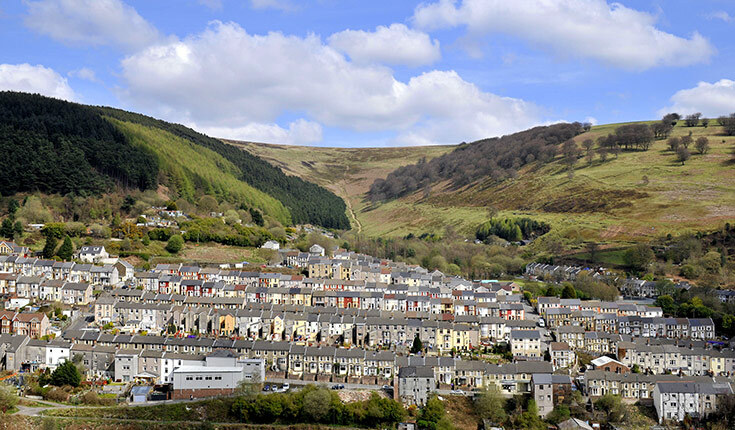 Hefin David AM (Lab, Caerphilly) said Welsh ICE in Caerphilly’s successful bid to become a business hub led to an “upside down T” map of businesses linking with them – along the M4 corridor and up the Rhymney Valley – but very little from the smaller valleys and across valleys. The Secretary said it was one of the reasons behind the importance placed on A465 dualling and he hoped that facilities similar to Welsh ICE could be developed across the south-east.